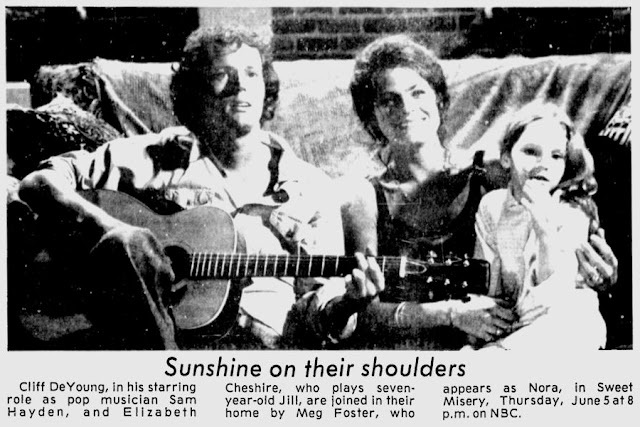 In 1975, Meg Foster alongside three other cast members from the made-for-TV tearjerker Sunshine, starred in the Sunshine television series. When the show premiered on NBC in March 1975, reviews were generally positive. 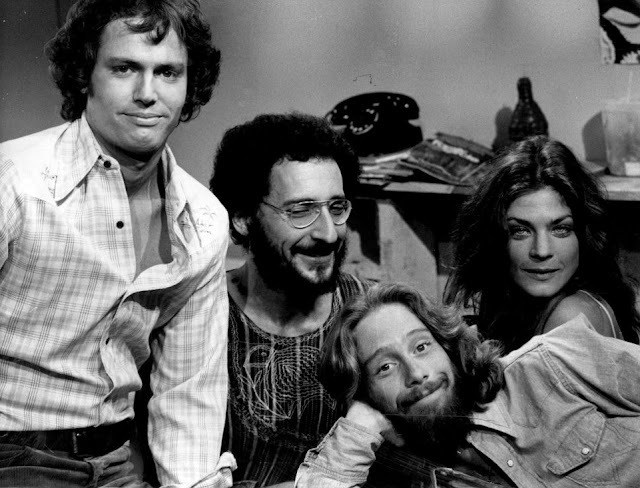 As the show continued to air, it looked for a while like Sunshine would be a sleeper hit. However, it just was not meant to be. 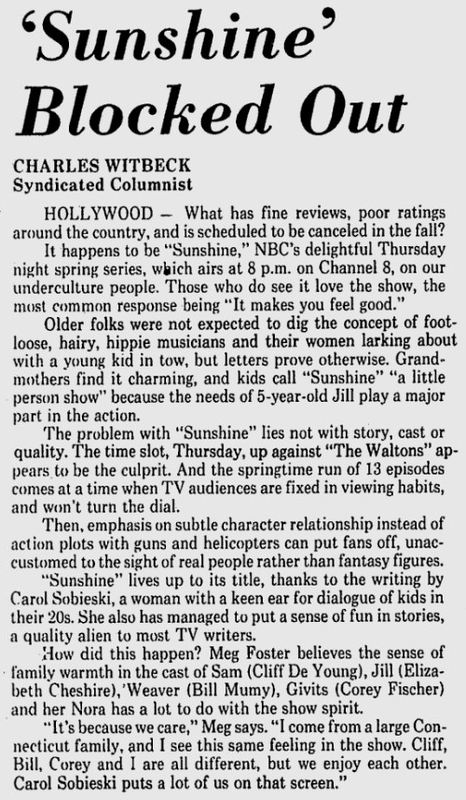 The following newspaper piece details some of the issues that led to the cancellation of Sunshine. The story doesn't quite end there. 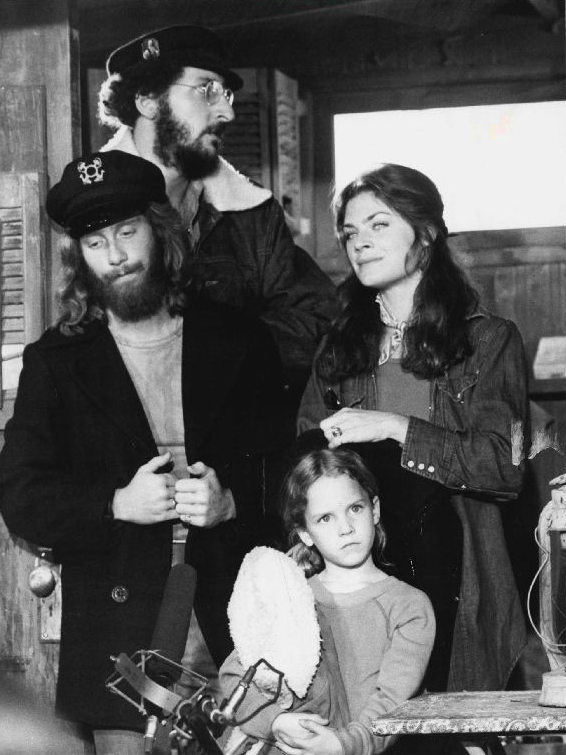 Two years later a TV movie called Sunshine Christmas was made, reuniting the everyone from the show (and adding Barbara Hershey). According to one press report, studio executives at Universal (the production company) were so impressed by Sunshine Christmas that there was talk of releasing it theatrically!